Our trusty Canon PowerShot crapped out just days before SEMA, and I was left scrambling to find a replacement camera to take with us. I asked the folks at Panasonic if they could loan us a camera, and they were nice enough to send us a Panasonic Lumix DMC-FZ40 for our trip.. Crisis averted! 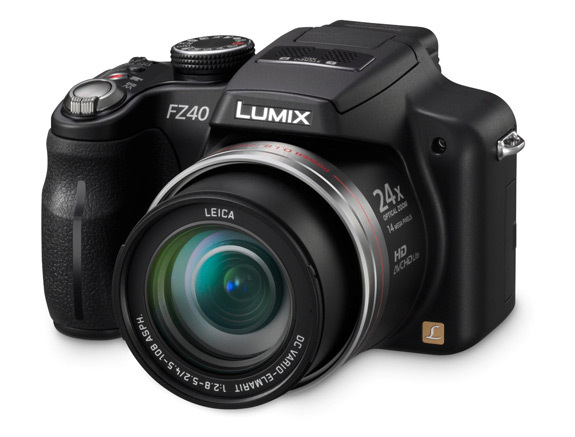 The Panasonic Lumix DMC-FZ40 is a feature-packed, hybrid digital camera, combining a powerful 24x optical zoom and creative manual operations to offer photographers of all levels the opportunity to take crisp, artistic photos and High Definition videos. 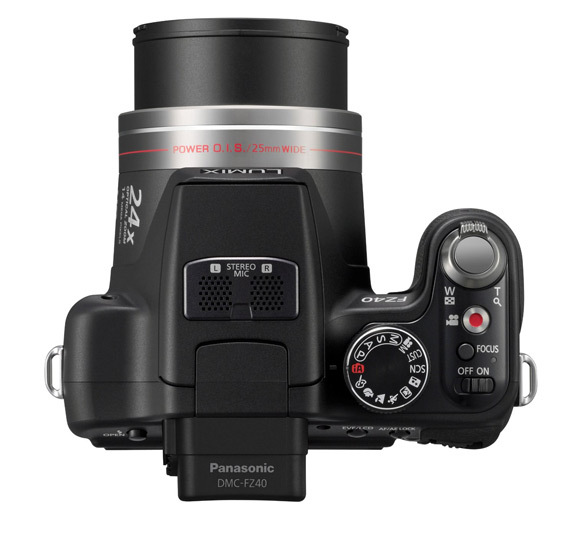 This 14.1MP model features a 25mm ultra-wide angle Leica DC Vario-Elmarit lens and a new image processing system which achieves high picture quality for both still images and videos. This camera has a bevy of features and options to tinker with, but because of time constraints I didn’t have time to play with all of them. (The camera arrived Friday afternoon, and we flew out Saturday morning). So I left the camera in Intelligent Auto mode and hoped for the best. Overall, I was very happy with the results. The pictures I took outside came out crystal clear, and that 24x optical zoom made taking long-distance photos a breeze. In my SEMA post, you’ll see some pictures of Tanner Faust drifting in the parking lot. I was REALLY far away from the action, but you’d never know it from the pictures I took! My indoor pictures were another story.. While many turned out good, others had some grainy artifacts. Unfortunately, I didn’t realize this until I downloaded all of my pictures to my PC. Had I seen that early on, I would have tried some of the other indoor features on the camera to see if that helped. 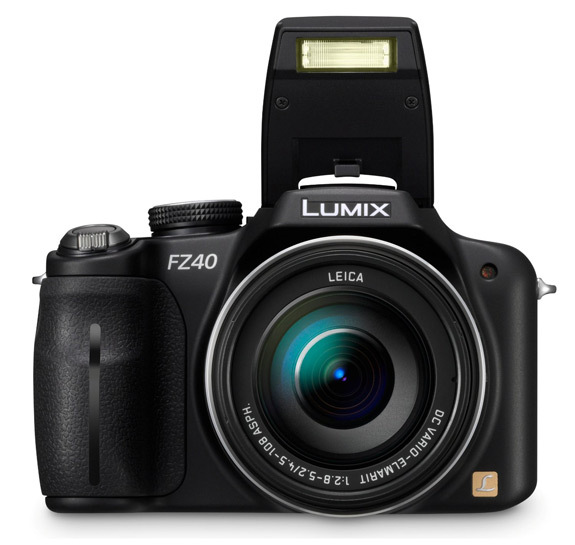 I’ve read enough reviews on the FZ40 to know that it’s not the fault of the camera, but rather user error. Battery life on the FZ40 was amazing! I shot hundreds of pictures over three days without issues. Panasonic states that you can get about 580 shots per charge, and I think that’s probably being conservative. At $350 (current price on Amazon), I think it’s a bargain! 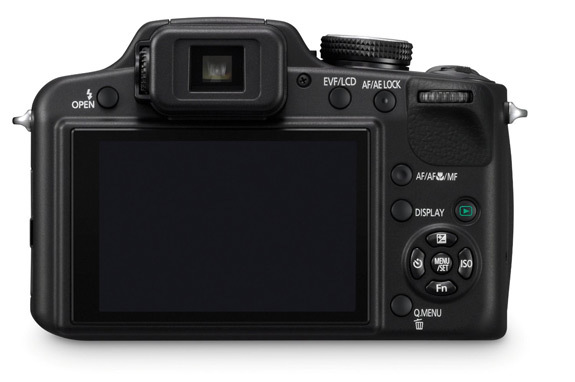 You can spend more on a full-blown DSLR, or you could spend less on a simple point and shoot. The FZ40 gives you the best of both worlds, at a price that’s pretty reasonable!